Today on the show we talk about Apple's big event coming up and how they have released hardware almost every day this week. We talk about the new iMac 21 inch and iMac 27 inch Pro. We talk about the new iPad Air and iPad Mini vs the iPad Pro. We get into using Slack vs Microsoft Teams and how Discord fits into this space. We talk about podcasting software and much more. Today on the show we get deep into Windows 10 we talk about upgrading to Windows 10 and troubles everyone is having, We talk about the headspace app and we talk about Arrow / Flash / Legends of Tomorrow and Supergirl. We are join by Randy and Jessie from Grawlix. Today on the show we start out with some fun old school radio bits and sound clips. We get into Google I/O keynote and a lot of the new apps. We talk about Microsoft and news of Windows 10. We get into a deep discussion about Amazon and there ereaders and echo and dot. We get into driverless cars, Dropbox and much more. Today on the podcast we are joined by guest Howard Magnes and this is an all Star Trek episode. We talk about the Star Trek reboot by J.J. Abrums. We get into Next Generation and Original Trek. We talk about the characters and the impact the show had on space travel of today. Today on the show were running down Wrestlemania 32 and the WWE Hall Of Fame. We discuss show plans and Tattoo Conventions and we discuss Arrow and Laurel Lance. We take calls and much more. Today on the show we review the GizmGadget great for any parent with a small child and cheap and affordable cell phone alternative. We talk about Microsoft announcements and iPhone SE. We talk about the tech news of the week and Wrestlemania. Today on the show we talk about EMP Electromagnetic Pulse and William R. Forstchen book One Second After. 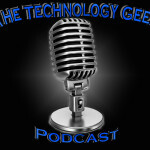 Randy from The Grawlix Podcast calls in and joins us as we discuss the tech news of the week and podcasting software and hardware. Calling Directory Assistance What Year Is It? Today on the podcast we talk about being on the road and calling directory assistance and using an old atlas. We discuss hands free and what it means. We talk about human evolution and the tech news of the week. Today on the podcast we have kind of an AMA Ask Me Anything Reddit Style Podcast. We me fielding your questions that you e-mailed and tweeted into me over last few weeks. What linux distro do you like? What tech stocks would you buy? Who are your favorite 3 authors? Do you like Skype or Google Hangouts? Favorite wrestler of all time? What bands do you normally work on HF? What bands are on your iPod? Do you recommend Spotify or Apple Music? What mixer do your recommend for music? Who is your favorite radio personality of all time? What do you recommend for wifi hotspot? What bow do you use for hunting? Why is nightwing your favorite comic book character? What is your day to day pc? I have business do you think I should go openoffice to save money? I want start podcasting should I buy pro tools? I want to be lead singer of a band is there good software for vocal training? What hard drive raid should I use for my pc?